It's important to keep in mind that the real estate sales comps of today include deals that have been in the making for over a year and trade at prices locked in months ago. 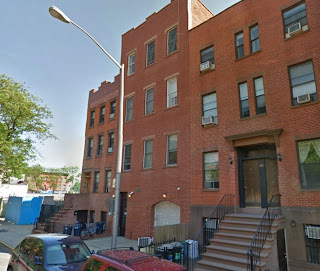 The enormous 20' x 90' bow-front limestone SRO delivered vacant in Crown Heights at 1329 Pacific Street had 8-Family buy & hold written all over it. In fact, they already submitted plans to convert it to an 8-Family. Platinum Members had the early lead on it last year. 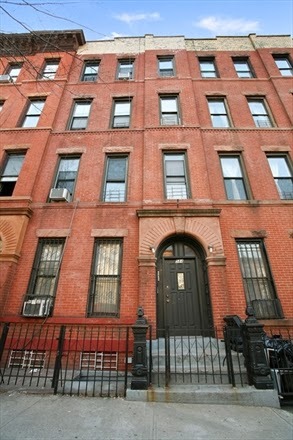 It went into contract in January and finally closes for $1.5M this month. The buyer made a pretty bullish bet that's bound to pay off. 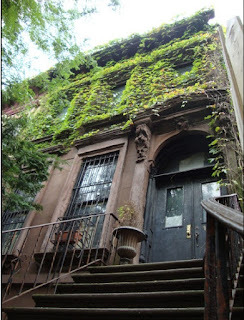 In Clinton Hill, this humble corner piece at 165 Gates Avenue - "In need of TLC" - lists for $1.795M over a year ago. 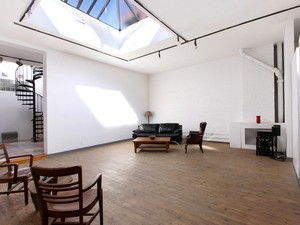 Finally closes for $1.9M this month. Since the time that price was negotiated, nicer 4-story buildings have closed over here between $2.4M and $3.1M. Even distressed sales, estate sales, shells, off-market, pre-market... anything over here under $2M gets attention these days. 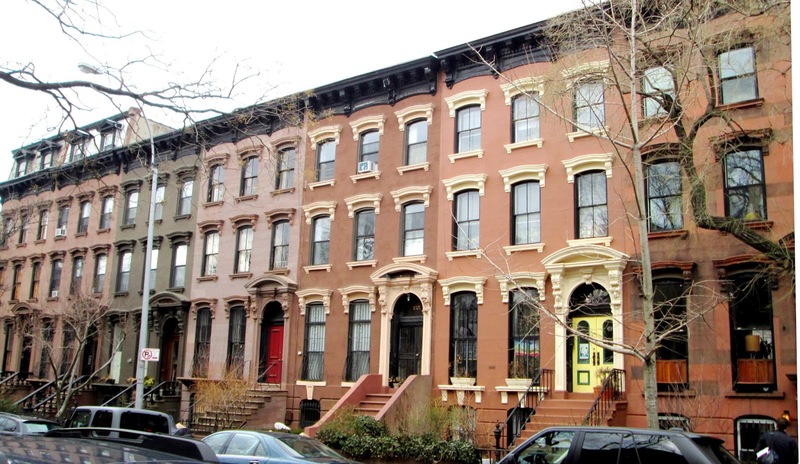 Afterall, nice condos in Clinton Hill can command $1,000/sqft. 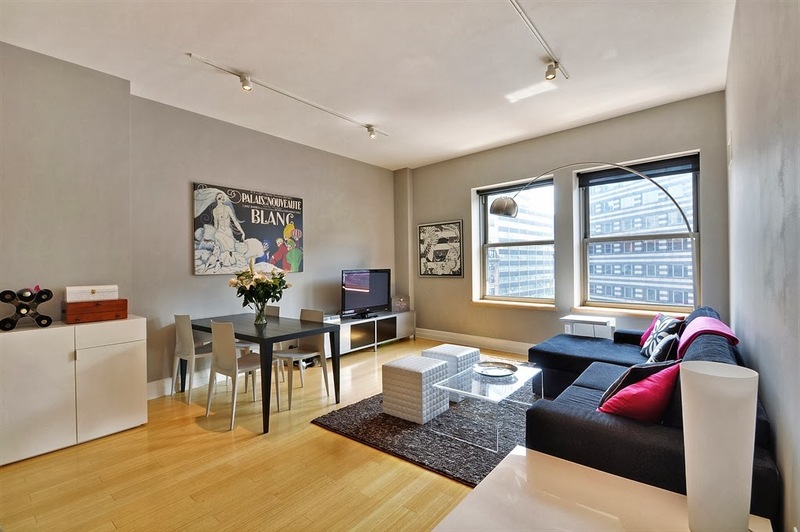 320 Washington Avenue, #2A closes this month a touch above asking price at $1.2M. 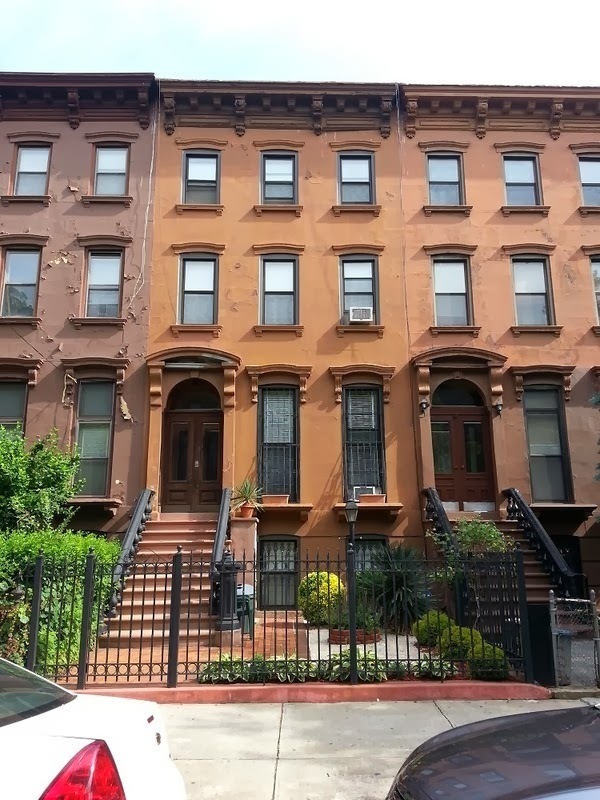 Just a few blocks east in Clinton Hill, 420 Lafayette Avenue sold to buyers from Fort Greene for $1.3M. The house came out asking $1.1M. 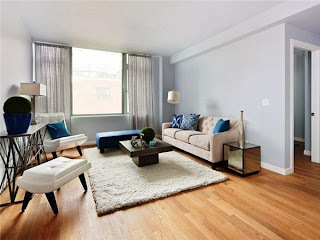 Not exactly the block everyone wants their townhouse on, but still a great interior at a price that makes a good compromise in this market. Top notch townhouse product can still be had for under $1.5M, but a lot of it's over in Bed-Stuy. 326A Decatur Street closes for $1.4M. 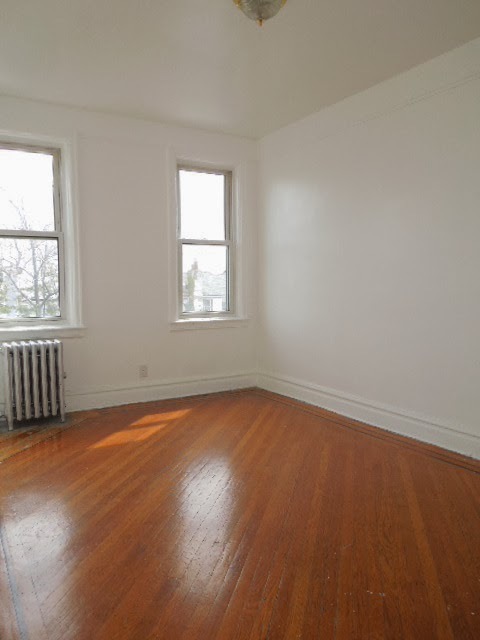 If you're not bullish on Crown Heights by now, we don't know what it's gonna take. 1271 Bergen Street is pretty stunning inside with the wood details. They closed for $1.3M this month, and the house a few doors down is in contract for $1.5M. 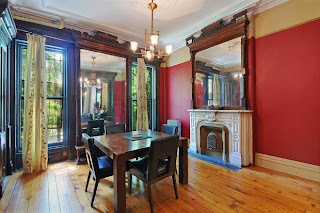 Also in Bed-Stuy, 187 Macdonough Street closes this month for its asking price of $1.35M. 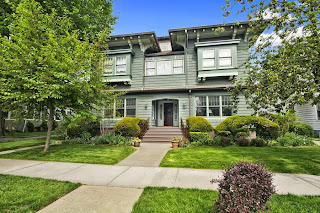 A Corcoran listing with nice details on a coveted block, still under $500/sqft. 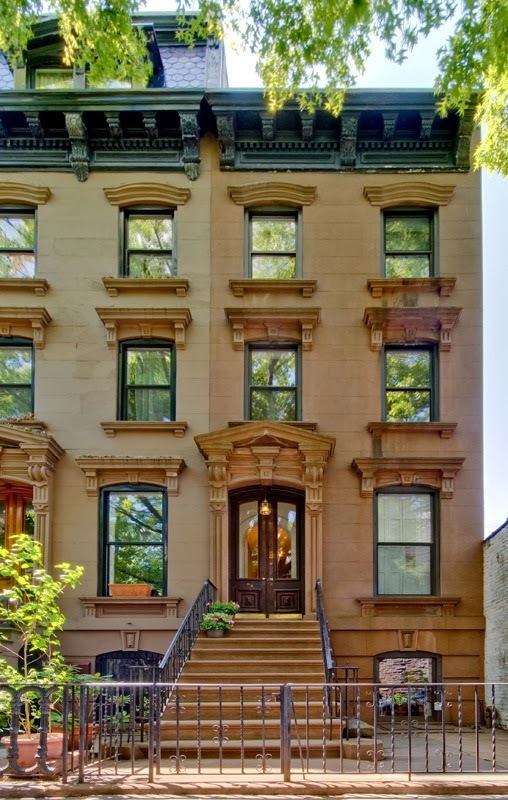 Even off-market you can easily move a 4-story in Prospect Heights over $2M. These days, almost regardless of condition. 157 Prospect Place closed for $2.3M this month. The 131' lot really makes it top notch. 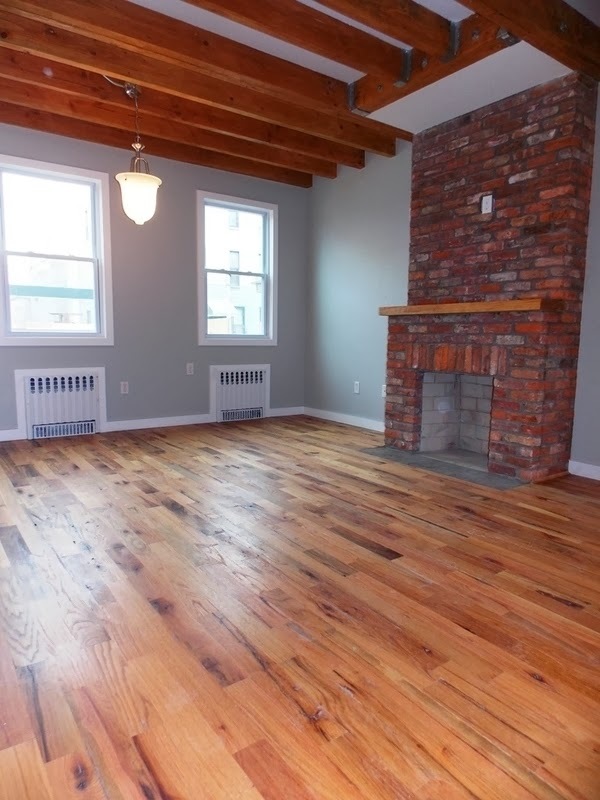 When you're in Carroll Gardens, over $1,000/sqft for a condo isn't hard to find anymore. 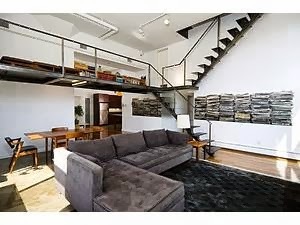 284 Sackett Street, #1 closes for $2.138M last month, or more than most people think the entire building might be worth. 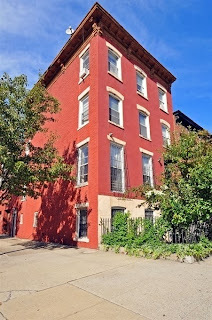 With condo sales like that in Carroll Gardens, it's no wonder that 194 Carroll Street (even at 14' wide!) can list for $2.8M and close for $2.875M last month. 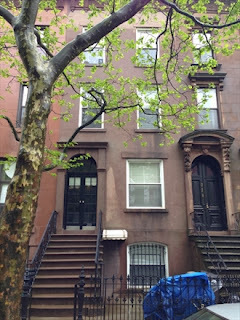 Or for slightly less, skip a few doors down to 222 Carroll Street where this 17' wide house closes for $2.5M this month. 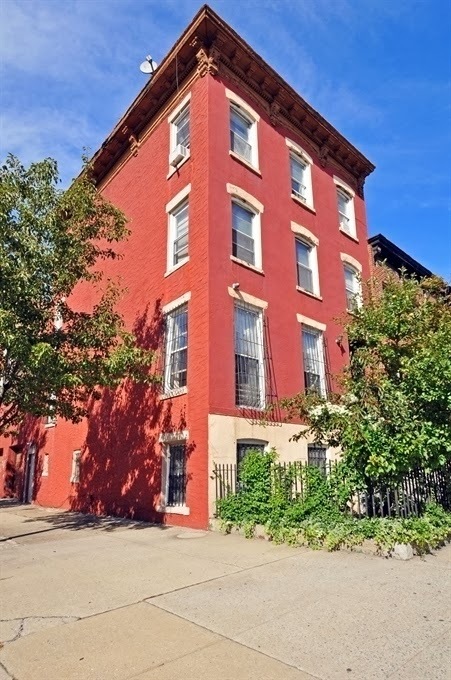 Whether you call it South Slope or Windsor Terrace, 422 16th Street listed for $1.6M and sold for $1.73M to a buyer from the Upper West Side. 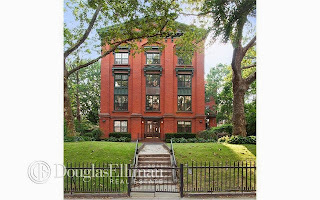 Speaking of selling for over asking price to a buyer from the Upper West Side, 86 Vanderbilt Avenue between the dreaded Myrtle and Park, lists for $1.35M and closes for $1.475M last month. Not bad for a "bring your contractor" special that's 15' wide. 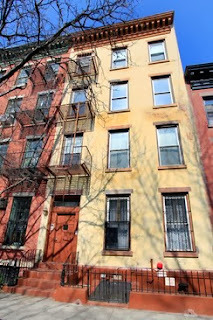 Even the tiny piece at 86 16th Street between 3rd and 4th Avenues sells for $1.2M. 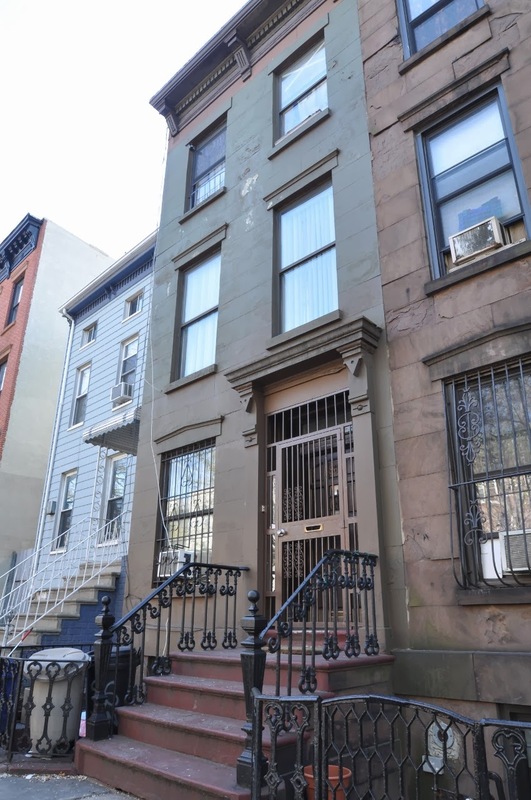 Buyers from Brooklyn Heights took down 385 11th Street for just over $1.2M too. When you want a blue-chip King Kong buy & hold property in brownstone Brooklyn, the pickings are almost as slim these days as they are in the end-user townhouse market. Everyone and their mom ostensibly wants to steal a property all cash (or less), and is only willing to do the deal if it's a steal. And sellers ostensibly want every last penny they can get for their asset. (Go figure, right?) And thus begins the push and pull of the free market. It's a tug of war. Who will win? 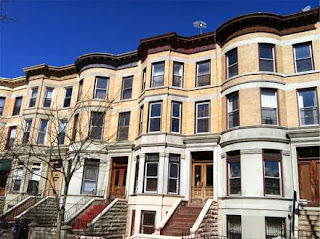 When we saw this monster 16-Family in an amazingly beautiful & historic section of Crown Heights, across from Brower Park, we knew it was worth a look. 1054 Park Place was asking $2.924M. Low ball offers quickly came in, and we're told last week that one of them stuck. We're told the property is now in contract at $2.2M. Now, don't EXPECT your low ball offer to stick; but when it does, it's a beautiful thing. The roof is in bad shape, but affordable to fix. And with skyline views like these, also overlooking a park, we see a real G putting a few roof decks up here for the top floor tenants, or common space. There's one staircase and 4 apartments per floor, so the back apartments have a quirky narrow lay-out to the front of them. But the space and the upside is there. We see this thing grossing $240K/year before ya know it - which will make everyone go, "That's better than 10 GRM!" Right, so where were you when this was available for months? A top broker at a top firm told us last week, "$2.2M?? I would've bought that!" So where were you when it was all going down? Before you go flipping out and underwriting this as better than an 8-cap within a year at our estimates, keep in mind one of the major rubs on the property is the high property taxes, currently over $39K. Next year's estimates are significantly lower (beats us), but that's one of the major drawbacks to calculating this cap rate by the standard rough & ready means. Get your numbers right, or you may not see the forest for the trees. 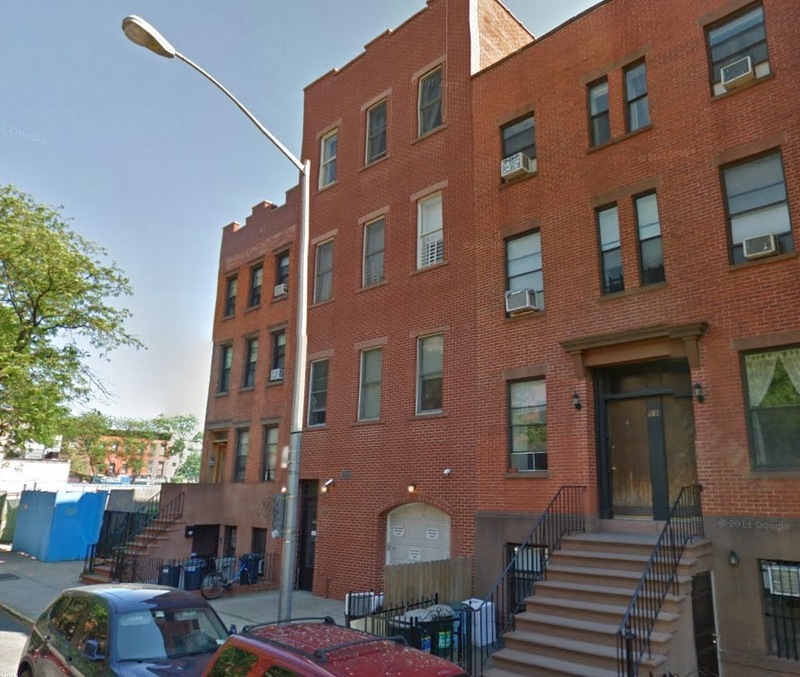 Another flagship buy & hold in Crown Heights? Yes, please! For $799K, this is a deal all day. 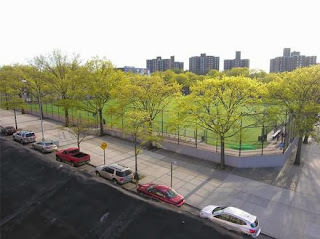 We can already hear the Brownstoner peanut gallery moaning, "But those are housing projects across that park!" As if there aren't housing projects in your beloved Chelsea, Lower East Side, Boerum Hill, and Clinton Hill. Welcome to the reality of a dense urban environment. 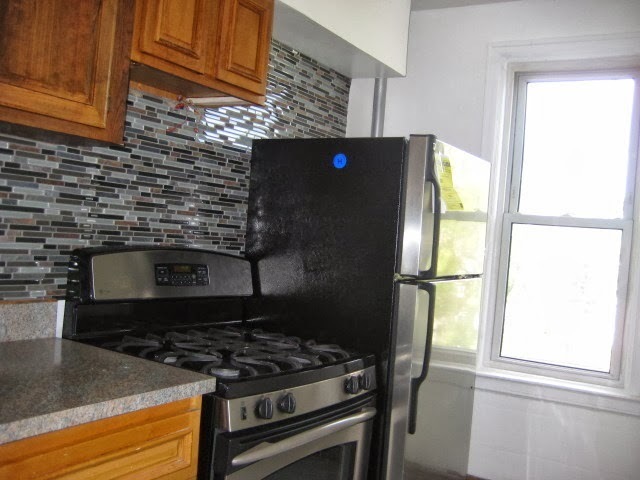 Sure, this neighb' isn't for everyone, but neither are the prices in the next-best neighb's. So pick your poison. 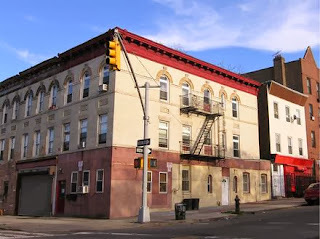 (Many opt for the poison in Gowanus and its dinky housing stock over Crown Heights - go figure!) 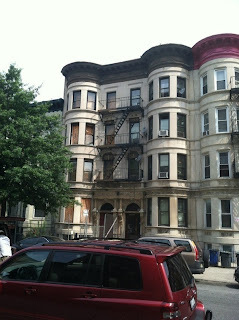 Whether or not you buy articles titled, "Is Crown Heights like Soho in the 1970's?" - we're bullish on this turnkey 3-Family. 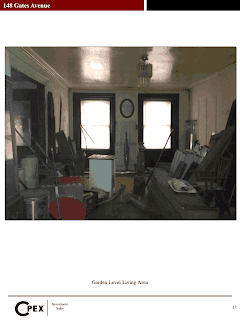 What the interior lacks in character it more than makes up for in size, turnkey, and abundance of windows. 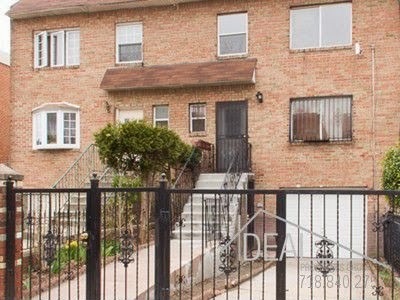 Like we told the buyers of other great buy & holds such as 245 Martense Street, we would do this deal in any other major city in the country based on curb appeal, size, windows, low taxes, and high income alone. If this deal were in Chicago, Boston, LA, or Philly, it'd be a no-brainer. The fact that it's off an express train in Brooklyn just makes it that much better. So what are you waiting for? Are you gonna sit there and continue to hate on neighborhoods you can no longer afford, or are you finally gonna make a move on a totally do-able piece like this? 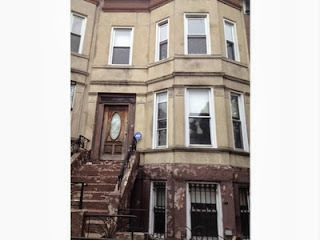 A totally legit 4-story fixer-upper in prime Clinton Hill closed yesterday for full asking price of $1.35M. That's right, after some 6+ months in contract, 148 Gates Avenue closed yesterday. 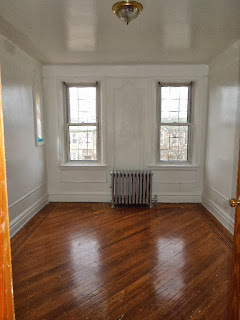 While people were whiffing on handfuls of houses in Bed-Stuy, Crown Heights, and Prospect Lefferts Gardens at even higher prices this spring, summer, and fall - where were you when this house was available for all to see? 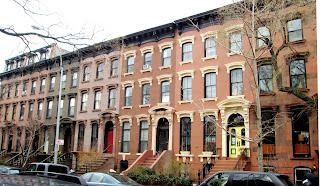 Were you sleeping on Clinton Hill like Rip Van Winkle? Were you getting too cute about non-apples-to-apples price per square foot comparisons? We were touring the house with the listing brokers at Cpex back around March when their previous contract had fallen through. We were shocked to see a house in way better condition than we were expecting for the price. These pictures don't even do it justice. A few days of junk removal & some fancy pictures and you're looking at way more than 25% upside on this place without a real penny spent on it. Though we think something much more lofty is in store. 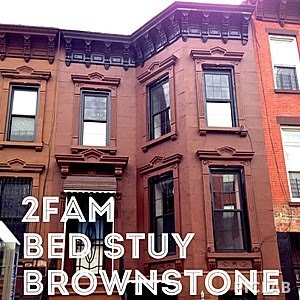 Was it only a year ago that we had to hold your hand through the "shocker" that prime Bed-Stuy was surpassing the $1M mark and tell ya how comps are a severely lagging indicator? To that second point, many will lose sight of the fact that this price on 148 Gates was negotiated and locked in just over 6 months ago. Keep in mind that estate sales can sometimes take significantly longer to close than other more "ordinary" sales because some things require court approval. That's even if the deal is all cash. Often times, those delayed closings end up recording a purchase price that people are salivating over because the market has moved so much higher during all the time spent in contract. Heck, just ask the owners of 22 Arlington Place, who got offers of $1M+ the week they closed in the $700K's, and who could easily drop the house on you now for over double what they paid for it. And even $715K was a price that it was hard to find enough justifiable comps for most people just last year, if you can imagine! 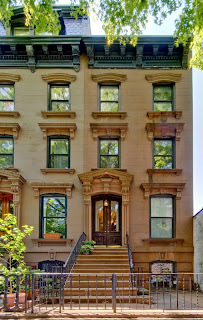 And, yes, we still get e-mails from finance people who made their money in high-frequency equity trading, asking us for a unicorn like a turnkey house in Clinton Hill for under $1.4M that they can acquire with 20% down. That's right, someone who'd laugh at you for trying to buy a rising stock at its price from 9 minutes ago gladly thinks some house is waiting for them at a price from over 9 months ago. And the people watching day-to-day essentially-meaningless micro moves in interest rates on the loans may have overlooked the much more meaningful move that banks are back to wanting 25% down again (not 20%) on non-FHA loans. But they don't hear us though. 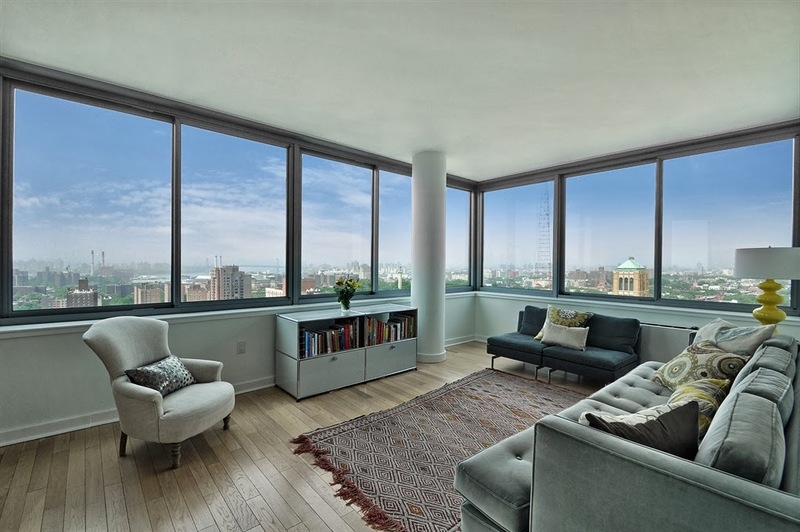 In our last look at the Brooklyn condo market, we told you how price per square foot comparisons tend to tap out when you're dealing with rare sizes. That doesn't always hold true, however. 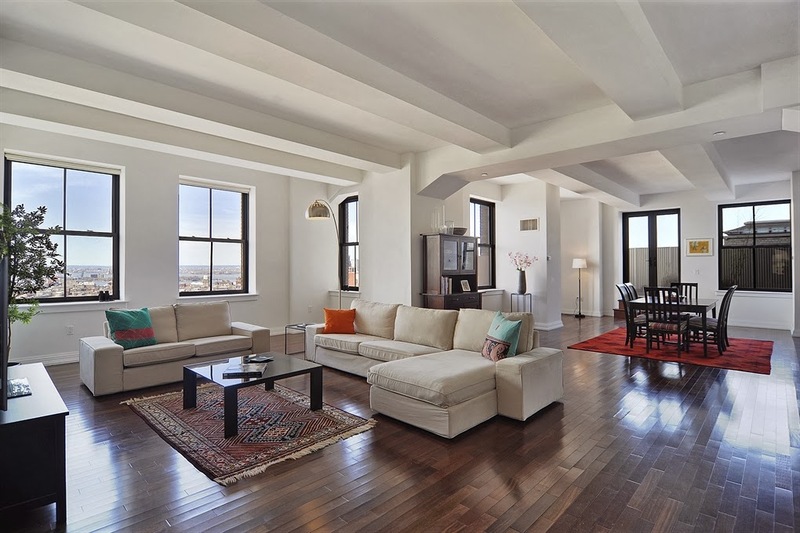 A penthouse apartment at 1 Hanson Place, #26A closes for $3.5M last month, or over $1,000/sqft. That's right, y'all, not a 25' wide house in Brooklyn Heights. 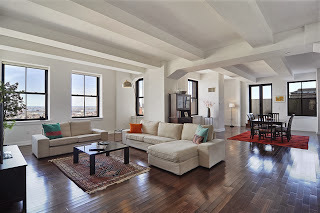 That's a 3,200/sqft condo in Brooklyn for $3.5M. Remember the good ol' days (2011) when this went for a mere $2.5M at auction? Guess where the buyer's from? If you said "lower Manhattan", you've been paying attention. 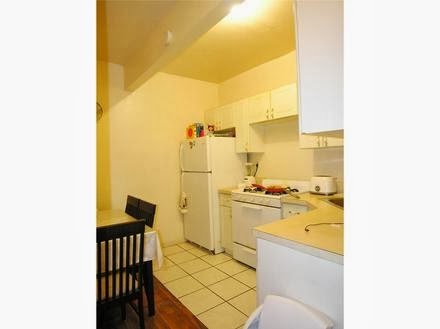 Even if someone GAVE you this apartment for free, the $4,000+/month in maintenance and taxes would be no picnic. And you wonder why we're still bullish on townhomes with yards and no maintenance fees for $250-$750/sqft within a few miles of here. Don't forget, even 1BR apartments go for over $1,000/sqft too. 110 Livingston Street, #5L sells for $809K last month, just above its asking price. The buyer? You guessed it! Another Manhattan transplant, this time from Chelsea, decides to call Brooklyn home. 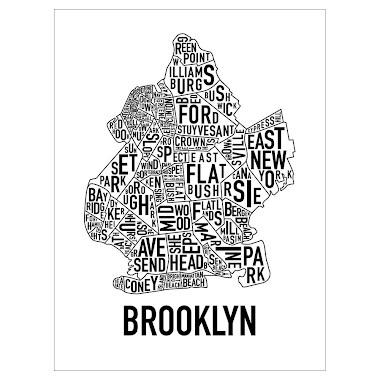 But Manhattan isn't the only place where Brooklyn buyers are coming from. Buyers from Cobble Hill decided to take down this flip in what many would dub "deep Bed-Stuy". 900 Lafayette Avenue sold for $950K. 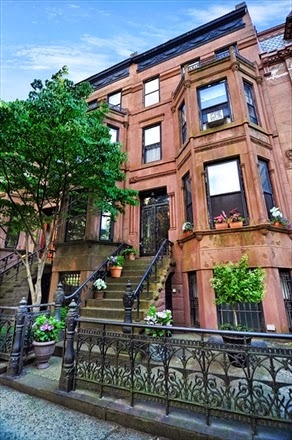 A "meh" 3-story brownstone for almost a million? That's Brooklyn for ya. 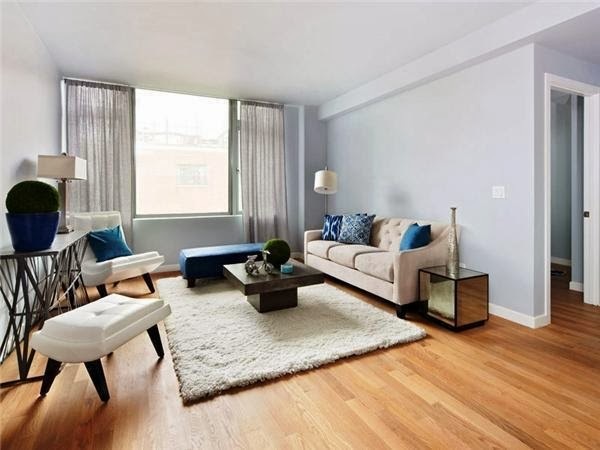 A buyer from Cobble Hill also took down a condo in the Forte for almost $1,000/sqft. 230 Ashland Place, #24A becomes one of many condos in this price range to move in the past few months. Every owner we know in this building is jumping for joy at the leap from their post-crash purchase prices to today's 'Manhattan-esque' prices. And what would a week in Brooklyn closings be without a Park Slope townhouse pushing $3M? 692 10th Street closes this month for $2.85M, just a smidge below its asking price. Whether you call it Prospect Park South or Ditmas, 147 Rugby Road is frikkin' stunning. 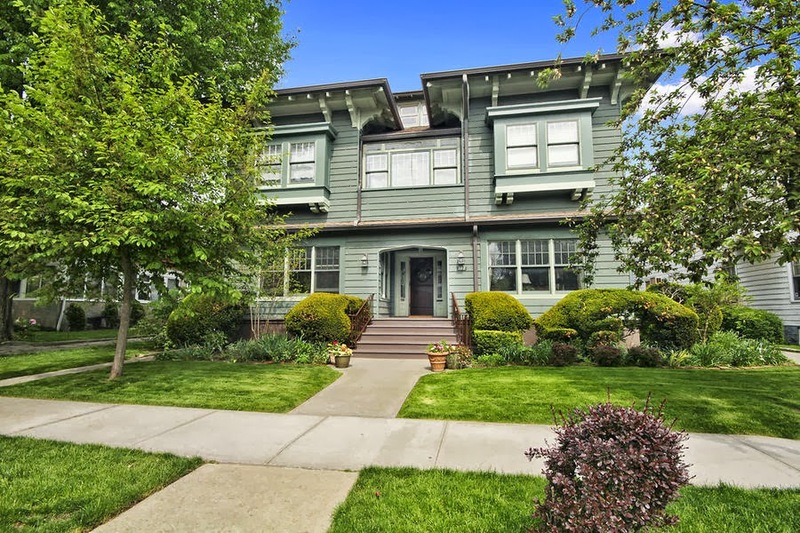 Sit back and relax while Corcoran moves this house asking $1.95M for a cool $2.2M last month. Rookies will inform you, "If you wanna turn a 6-Family into a townhouse, you've gotta change the C of O." Yeah, no kidding. 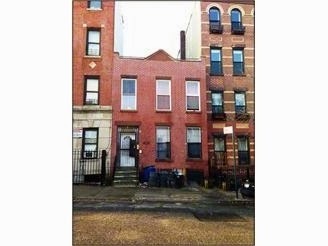 How else are you gonna get a 22' x 60' townhouse in Boerum Hill for under $500/sqft? 109 Wyckoff Street closes this month for $2.2M. 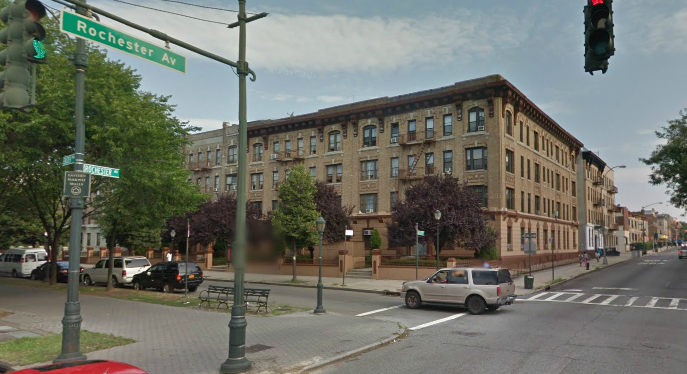 You know the Brooklyn bets are bullish when Sugar Hill is buying in Crown Heights, east of Utica, for over $6M. 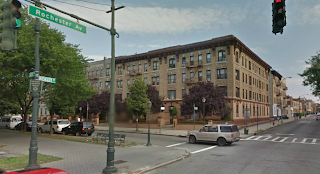 1193-1205 Eastern Parkway closes this month for $6.6M. A lot of money to spend in this location and with a ton of rent regulation, but certainly a ton of units and a cash cow over time. 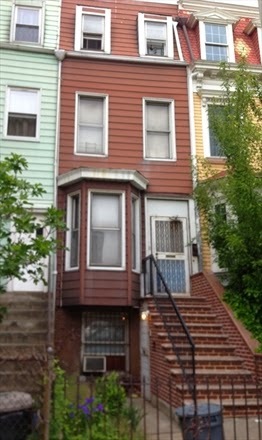 Come on down to South Slope where 12' wide vinyl siding between 4th and 5th Avenues "in need of some TLC" goes for $1.155M last month. That's 231 13th Street for ya. Oh, and the buyers? 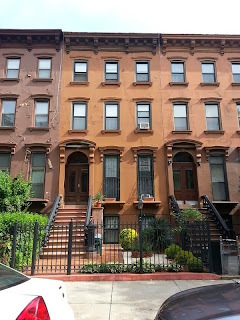 From the West Village. 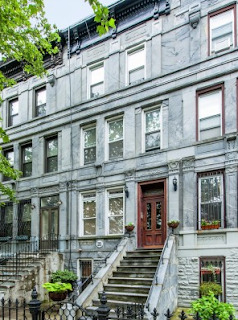 Everyone's all a buzz about 16 St. Charles Place in Crown Heights asking $1.299M. Well, the flippers are local gobblers who just bought it last month for $860K. Keep in mind, they bought it for cash, they took all the risk, and they sourced the deal themselves. Unless you can and will do that yourself, you'll be stuck looking at the retail prices. It's worth noting that we're just a year removed from when houses like these (3 doors down) were asking $850K on the under-marketed open market, which is now the off-market all-cash flipper acquisition price. When the flippers are now buying for the same price that end-users were paying last year, that's saying something about the leg up this market's made in 12-18 months. 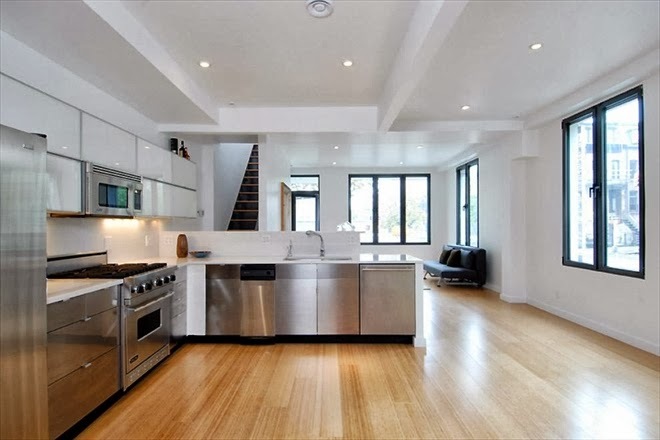 Even if it's a flip and looks like it belongs in Queens, the new construction with parking at 716 Dean Street made a nice condo alternative this month for $1.18M for buyers nearby in Prospect Heights. 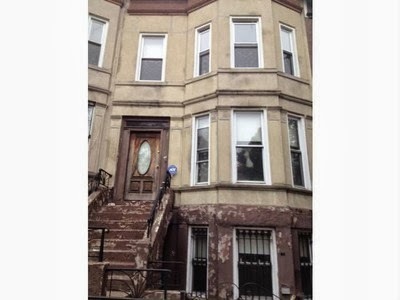 Also in Prospect Heights, 584 Vanderbilt Avenue closes for $2M. 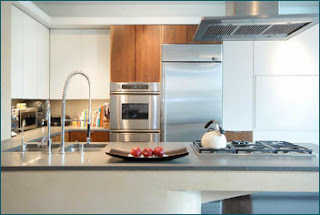 This 4-Family wasn't necessarily end-user material, but the value is certainly there. 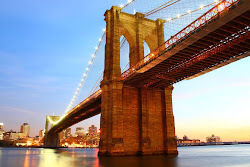 The buyer's from Brooklyn Heights, any surprise? 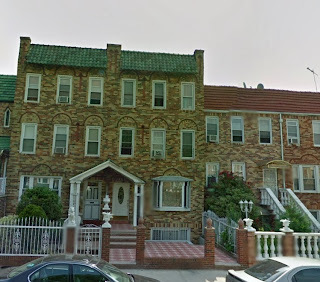 This big boy at 646 President Street sells for $3.25M this month, which is a great price for a 12-Family in a nice location with a handful of free-market units. That's only 13 times its 2010 rent roll. Can you say "upside"? 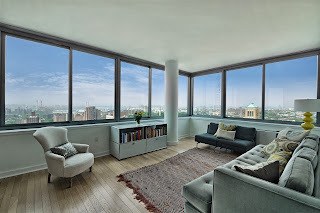 565 Dean Street, #1 - which closed for $1.374M last month, touts a higher number on their site, but what do we know about the discrepancy between public records and the actual purchase price? Perhaps can be chalked up to "on-site parking may be purchased separately". This 2BR/2 bath is a unique 2,000+ sqft, which means a lower ppsf than the average. 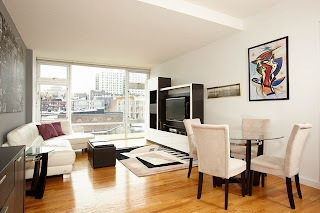 A 1,200 sqft 2BR & 2 bath just 4 blocks away, however, does break the $1,000/sqft mark. 145 Park Place, #1C, just across the border of Prospect Heights and Park Slope, sells for $1.25M. 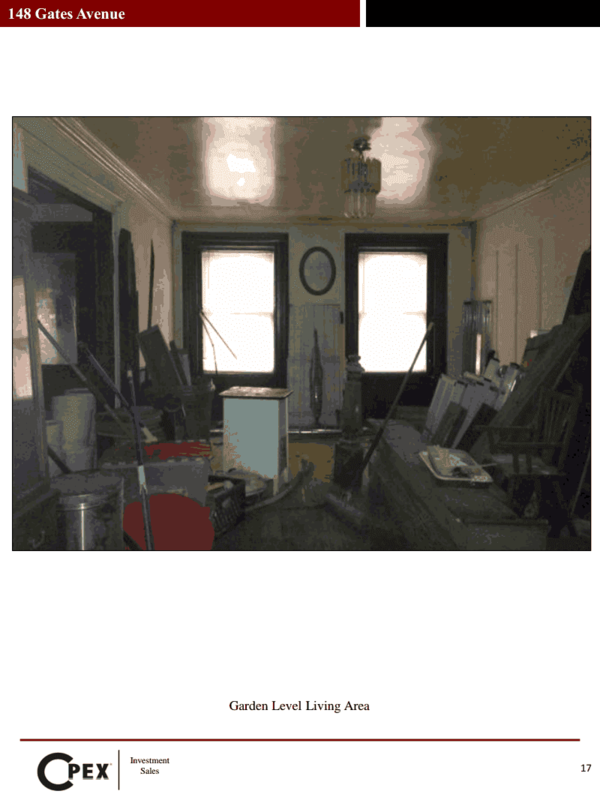 A Corcoran broker recently sold his own place in the same building for almost $1,000/sqft. 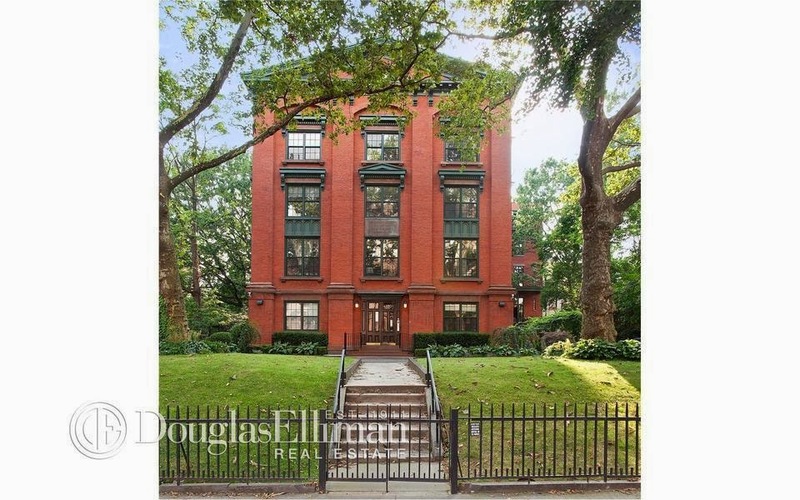 Speaking of 2,000+ sqft, can you count the $900K transfer of the converted garage condo in Clinton Hill at 334 Grand Avenue last month if it's just Susan Sarandon giving it to her son for the price she paid for it last year? Over on the Crown Heights & Prospect Heights border, another impressive trade at 475 Sterling Place, #4C for $810K. Deeded parking space in the house! Another 1BR in Clinton Hill at 82 Irving Place, #5A closes for a stunning price per square foot number. $476K for a 1BR ain't shabby, but at 555 sqft, the developers are salivating to get at least $850+/sqft for such product on the next wave of condos. 173 Smith Street, #3G in Boerum Hill goes for almost $1,000/sqft too. 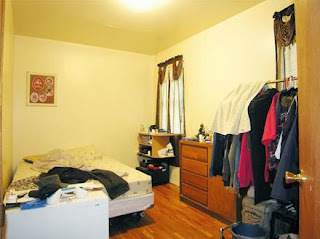 Here, the unique size of 1,300+ square feet also contributes to the reduced ppsf. Another unit in the building is pictured above. New to the Listings section of the blog, it's a turnkey 2-Family house with a garage asking only $615K with an open house today from 2:00pm to 4:00pm. 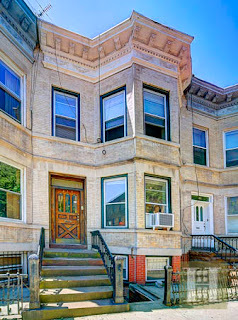 Now, we know the average brownstone Brooklyn buyer isn't ready to go deep into East Flatbush, but 1409 Troy Avenue offers a turnkey owner's duplex in a modern style, plus a rental unit and a garage. All available within the FHA loan limits, as the listing broker's advertising "3.5% down payment" & "can live rent free". There's an even more modern bathroom photographed on the flyer that doesn't appear in the listing. 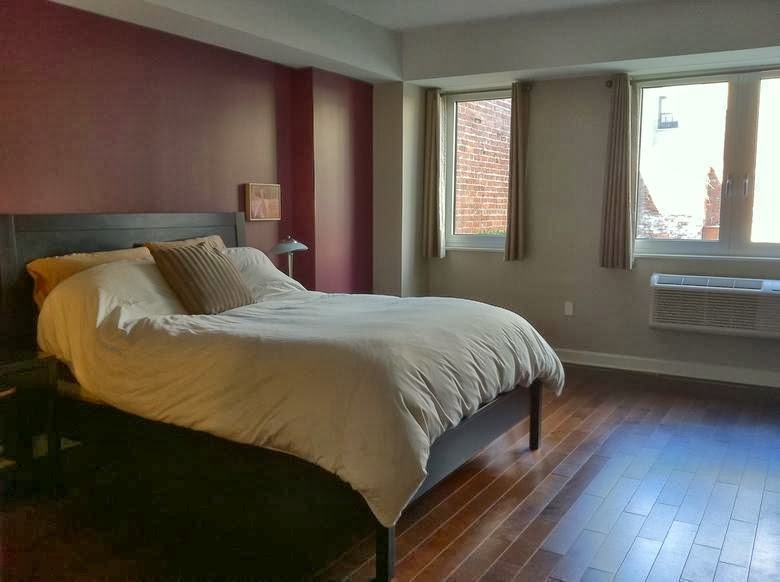 Billed as a 2-Family, the finished basement "apartment" may even be legal as a 3. The median price per square foot out here for townhomes under 4,000 square feet has been $220 over the past 6 months. 1409 Troy Avenue - at over 3,100 square feet - is listed below that number.